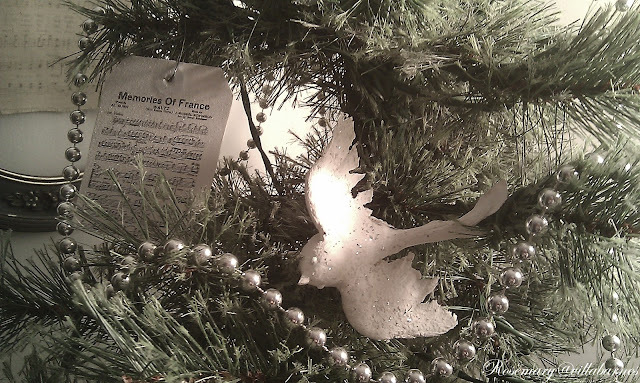 Last year, I made these "Memories of France" tags for the tree. I almost forgot to add them. I like the way they look with my silver beads and birdies. They're easy to make. I just reduced the sheet music image, attached it to manila tags, and gave them a spritz of glitter. Instead of a star, my Christmas tree has been crowned. 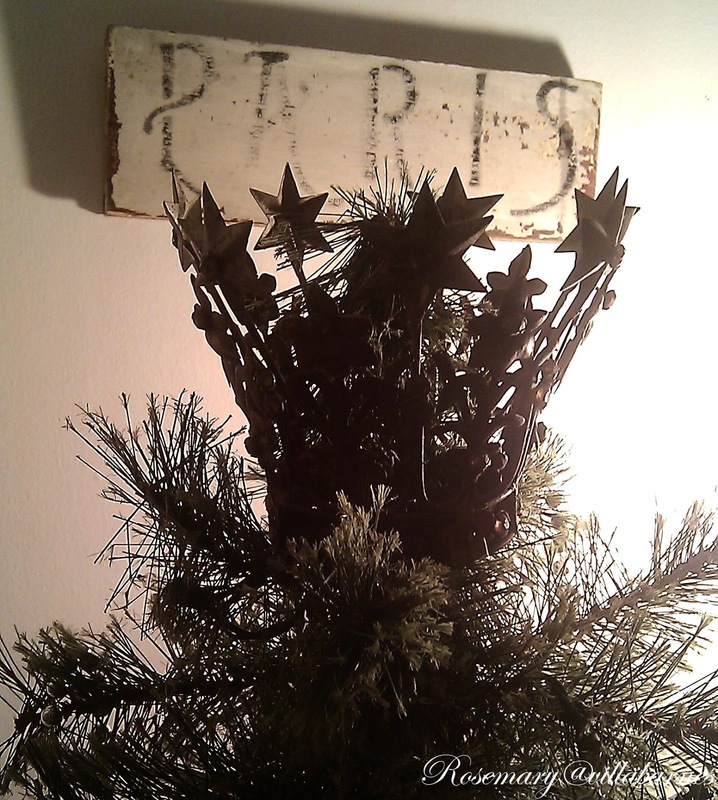 The "Paris" sign behind it is an old piece of wood. I stenciled the lettering on, and distressed it a bit. Is the tree finished? I have no idea. I have a tendency to change and alter things constantly. 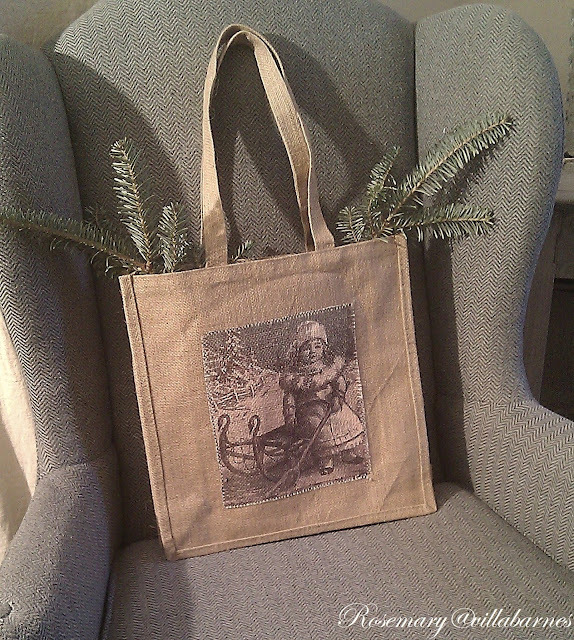 I'll show you how I made this bag in another post. I love your little tags! You make it sound so easy, I wouldn't have a clue where to start! Rosemary, you're all about the extra sparkle! Perfect amount of glitz for your Frenchy tree! Rosemary, your tag and the bag are beautiful; and that crown is gorgeous! Love your decor. They are the sweetest tags Rosemary. Love the crown your tree! Very cute. 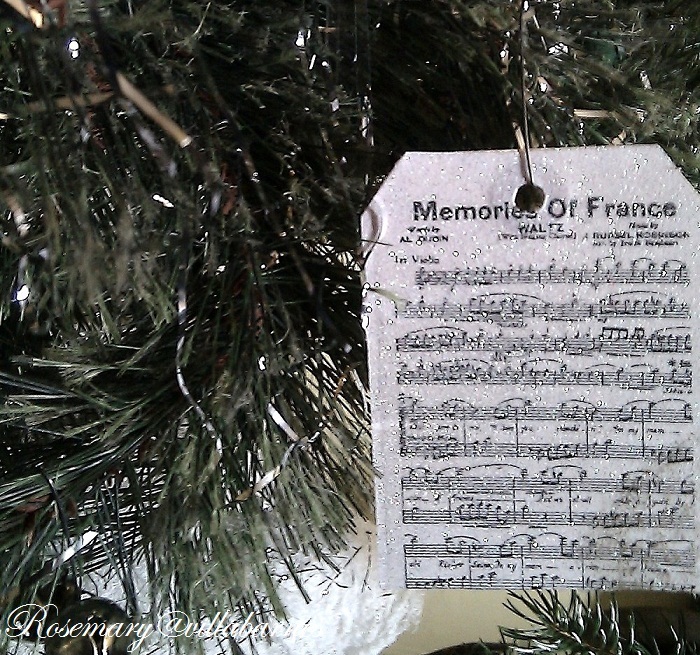 Sheet music always looks pretty on a Christmas tree; French sheet music is pretty and chic! The crown is such a great idea for a tree topper! I don't think I've ever seen that done before. I'm glad you remember those pretty tags. They're like little jewels on the branches. 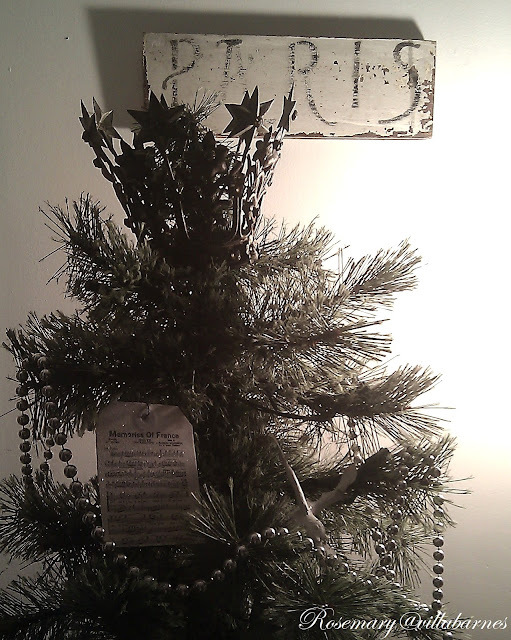 Ha, I've got the same crown that I use as a tree topper on one of my little trees, Rosemary! It works out great as a topper. Love the sheet music ornaments. Love those sweet French tags!What a sweet petite tree! you have such beautiful ideas. 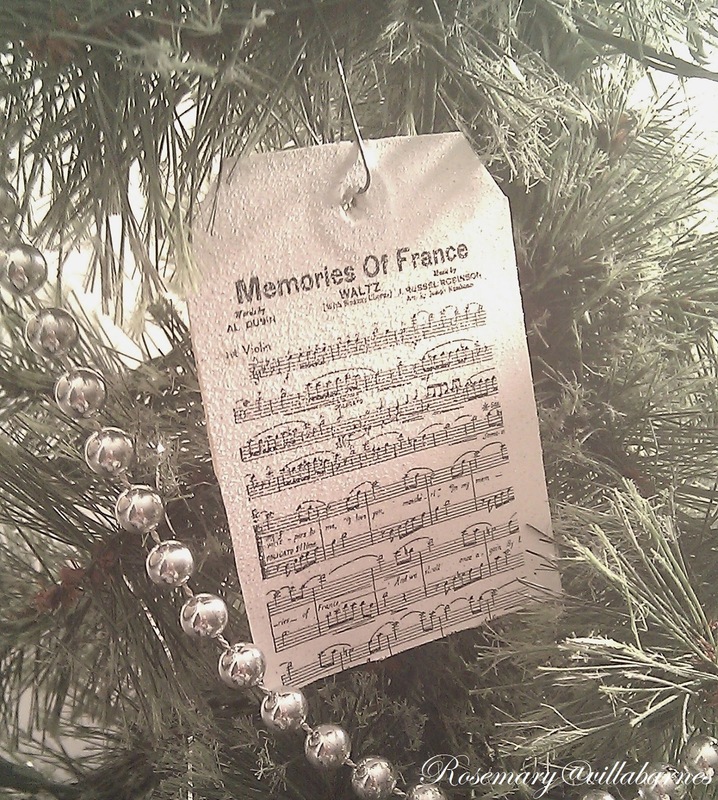 Love the sheet music and the pearls on your tree. Oh and that Paris sign is awesome. The crown is a great idea.